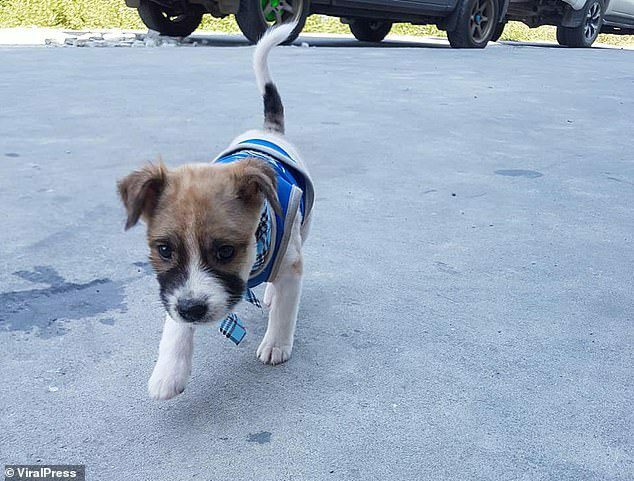 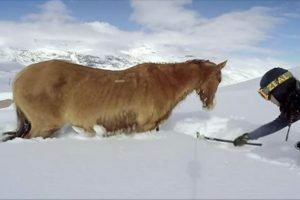 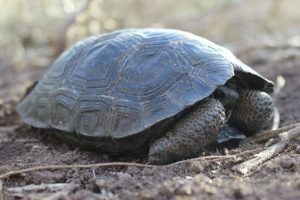 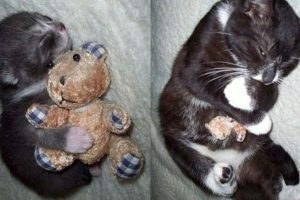 With no houses or crowds nearby, she realized that the puppy was lost or had been abandoned and said that she feared he would struggle to survive in the wilderness. 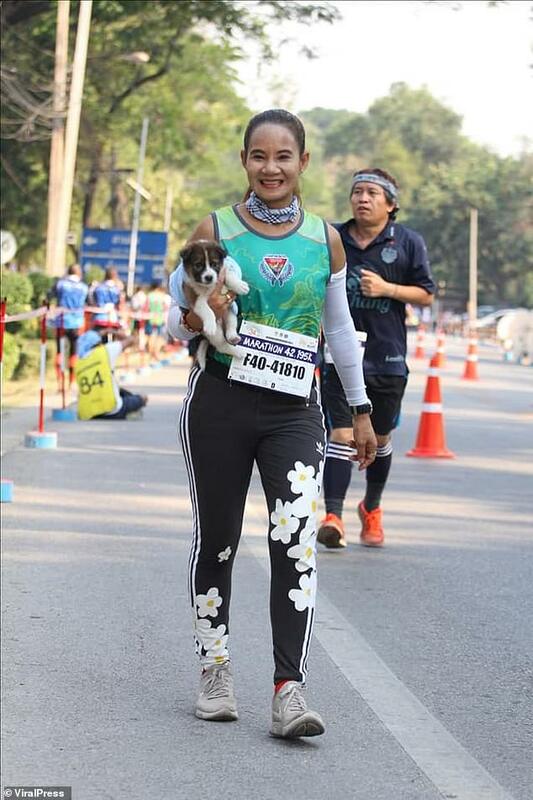 She even crossed the finish line holding the dog. 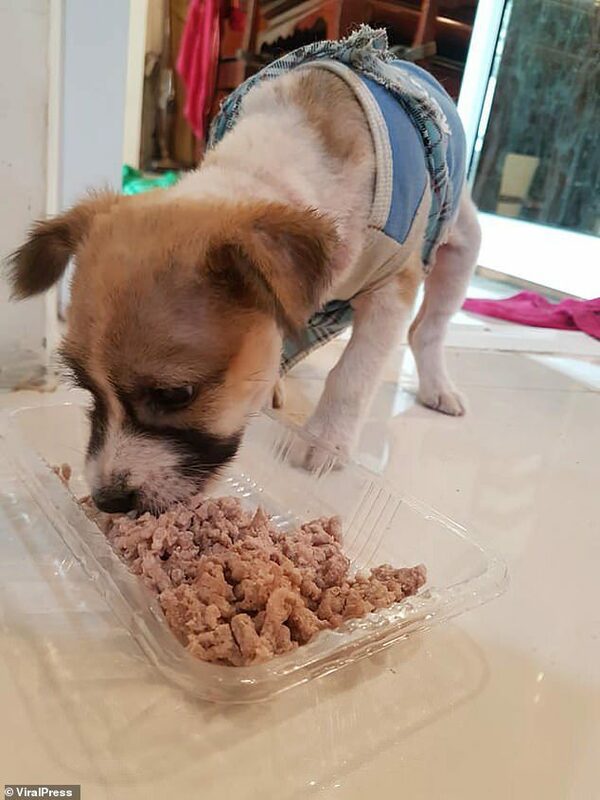 The shop owner has now adopted the dog, believed to be just a couple of months old, and named him Chombueng after the name of the marathon. 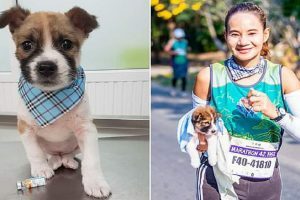 She tried to find the owner of the puppy when she crossed the finish line but without success. 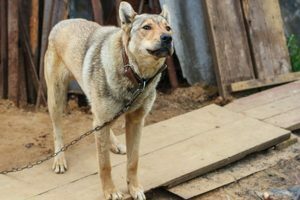 She took him home and appealed again for the owner to come forward, but has not had any contact. 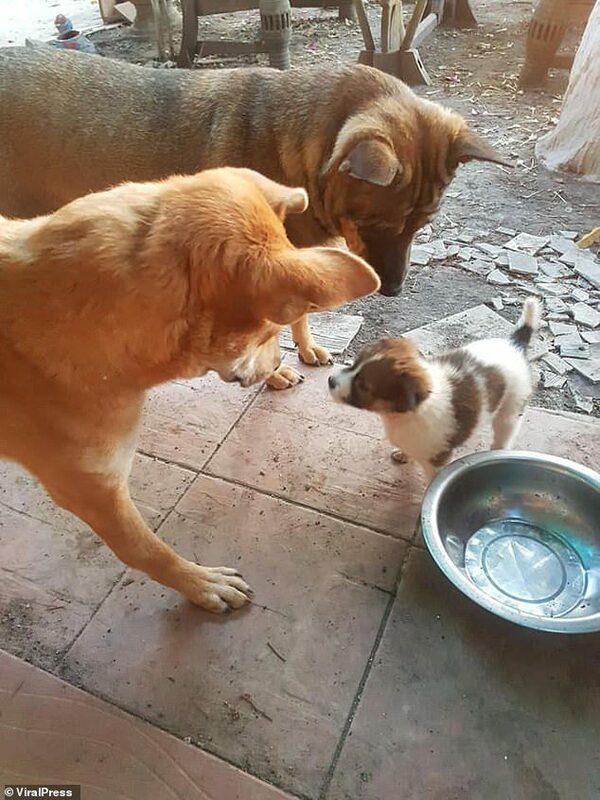 Chombueng has now joined the family with Khemjira’s two other grown-up dogs. 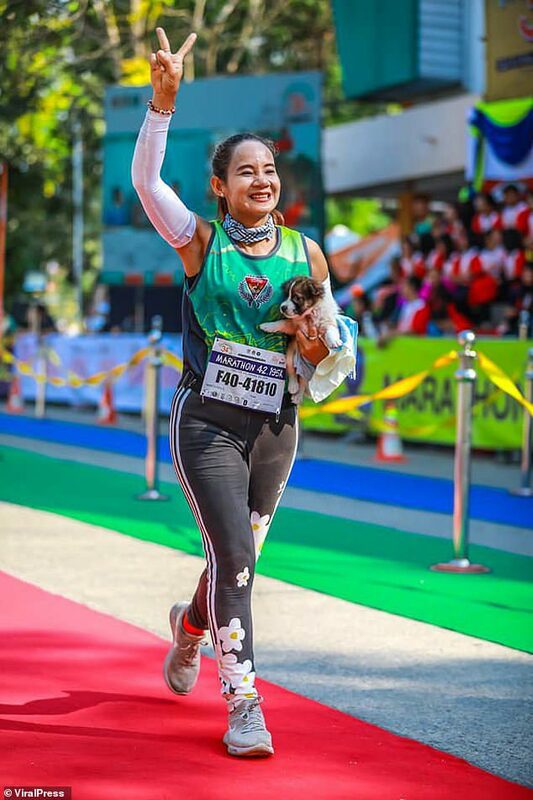 Khemjira said: ‘Running almost 20 miles carrying dog was truly a challenge. 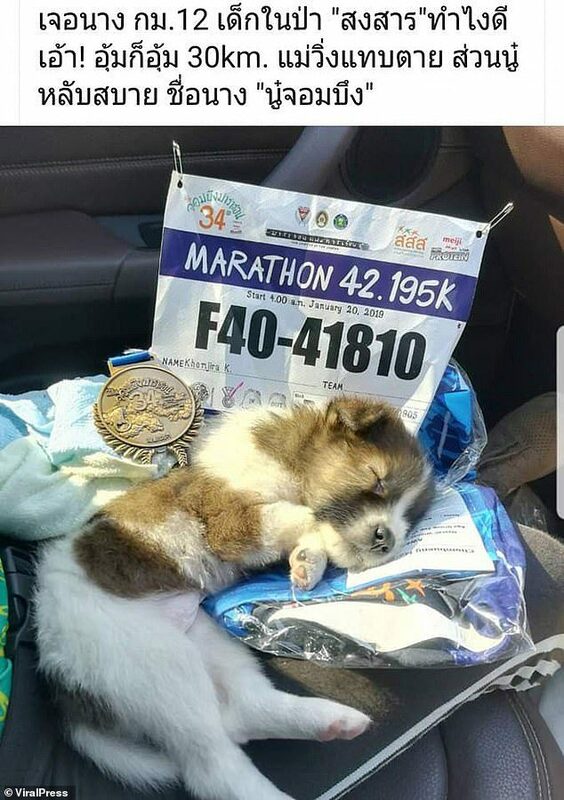 It was two times tiring than a normal marathon but I did it anyway just because he is adorable. 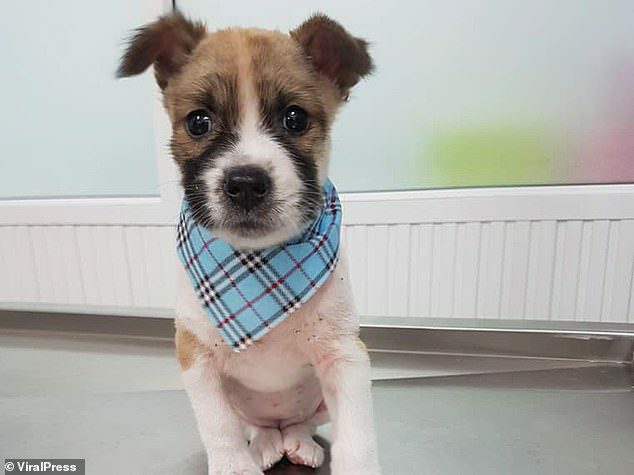 ‘It took a lot of time to take the new dog for checkups, vaccinations, and treatments but I’m glad to save him and willing to have him with other dog members in the family.